positive impact on my real estate career. I generate at least 90% of all my business from the website. It’s amazing! 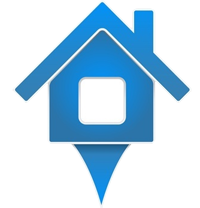 We’ve developed over 1000 custom real estate websites. We personally train our clients to be incredibly effective. We push WordPress to its limits with custom programming and plugins. Custom designed, responsive and retina ready. No pre-fab crap! 10 hours of 1-on-1 classes give our clients the skills needed to succeed. Our expertise and your local content has you dominating search results. No worry, no hacks, no spam, no malware. You’re secure and backed-up. Amazing speeds, unlimited space, cloud servers, and the service you expect. National coverage, lead gen, map search, indexable listings, mobile, and more! YOU’RE GOING TO LOVE WHAT WE DO FOR YOU! Thanks again for being the single most positive impact on my real estate career. Tomato, thank you for everything. I’d probably be out of real estate if I hadn’t found you (and yes, you can use that as a testimonial). ​WOW. I love it. You really have this figured out. Executed perfectly. Couldn’t be more happy. You did it, man! I have to tell you, I was on the fence about saying goodbye to my old website but it’s been the best thing I have done for my real estate career in a long time. Not only has it been an extremely effective tool right out of the chute but I freakin’ love blogging! Suffice it to say, you guys are the real deal and I owe the whole Tomato crew a big thank you for making me an armed and dangerous. Keep up the good work! Real Estate Tomato is the best web designers I’ve ever worked with. Having been in the business 17+ years, I’ve researched and used many different companies out there and RET is not the cookie cutter, everyone gets the same thing, solution. If you want a highly customized, geared toward your goals website, don’t wait another minute to call them. You won’t be disappointed. Nothing but a FIRST CLASS organization. Real Estate Tomato designs outstanding sites. But what really makes them stand out is the training they offer. I have learned more about content marketing and SEO during my training that has made me my money back I invested 100 times over. We’re here. Here to help.